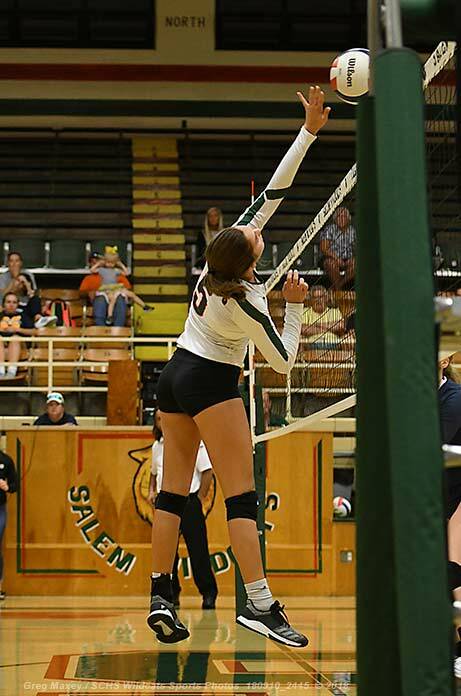 The Salem Lady Cats fell on the road in volleyball action at Columbia 16-25, 15-25. The JV lost 15-25, 18-25 and the freshmen also fell 6-21, 21-18, 6-15. The KC volleyball team is in action today at the SWIC Tournament against St Louis Community College and Parkland.